This station transmits data back to your wireless Vantage Pro2 Console, wireless Envoy or Vantage Connect. 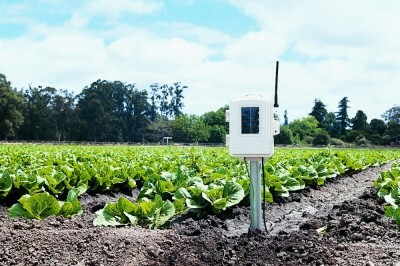 Sensors are sold separately, or buy a complete system including 4 soil moisture and 4 soil temperature sensors. To see for this station please click on Sensors below and navigate to the sensor. Possibly sensor options include a single fully-populated station with 2 leaf wetness sensors, 4 soil moisture sensors, and 4 temperature probes. Or Two partially-populated stations, one with 2 leaf wetness sensors and 2 temperature probes, and the other with 4 soil moisture sensors and 4 temperatures probes.